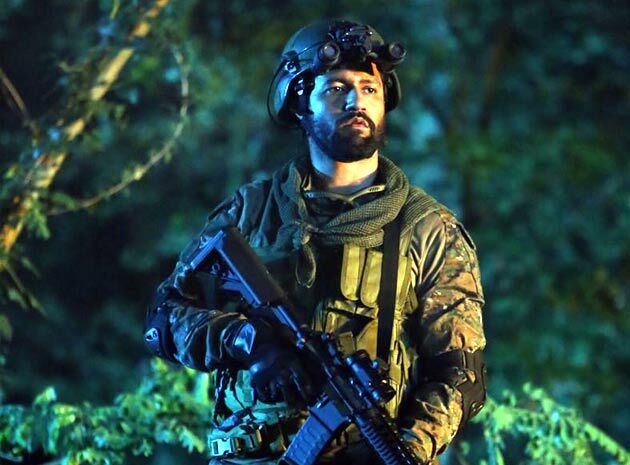 Uri - The Surgical Strike is known only by the name of what is the subject of this film and what has been shown in it. It's not too old. In September 2016, the Indian army had entered the PoK and killed the terrorists, which had been for long months. How did this incident happen? This director Aditya Dhar has shown through his film. Aditya felt that he could not make the whole movie only on this incident, so he added some events to the film. As in the beginning of the film, the events of killing the terrorists were shown in Manipur. Major Vihan Singh Shergill (Vicky Skills) executes this event in a fine manner. With them Karan Kashyap (Mohit Raina) was also involved in this mission which is the husband of Vihan's sister Neha. Vihan's mother is sick and for this she gets shifted to Delhi. Uri camp is a terrorist attack and Karan is killed. This attack is angry in the whole country. The Prime Minister wants to give a brief answer and a surgical strike plan. When Vihan realizes this, he becomes involved in this mission. How is the plan made? Whose help is taken? How was this mission done? It is shown prominently in the film. Aditya Dhar has written the script only. He also supported a little theatricality to show this bravery of the army. Emotions like ill mother, widow of martyr and revenge for the death of Jija are shown, some redundant roles are also seen, for example, the character of Yami Gautam. Things are more understandable because many viewers are not fully aware of this. Deficiency in the film is a feeling that there is no tension in the film. Looking at one such mission, the audience wants to feel the thrill and tension, which is missing in the film. The second half of the film is better and the last half hour of the last is full of adventure. The necessary things for war film like machine gun, brave soldier, helicopter, drone technology and night vision devices are seen here, which makes the fun of watching the movie. Since it is a film based on a true phenomenon, so the viewers feel from a special engagement film and keep the same thing in the film for the entire time. Aditya can be praised for the fact that despite some weaknesses he keeps the viewer attached to the film. Wiki skills are like an Army Major and their performance is straightforward. Especially they have been fantastic in action scenes. Paresh Rawal is in the role of NSA Chief Govind. 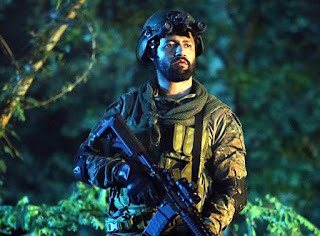 In a small role, Mohit Raina leaves the impact. Yami Gautam and Kirti Kulhari got less screen time. In the role of Prime Minister, Rujit Kapoor was uncomfortable. Cinematography of Mitesh Mirchandani is fantastic and gives the film a different look. Editing of V Panicker is worthwhile. Laughs and tension films that lack the rhythm feel lacking, but keep them connected to the Powerful Subject movie.